When St. Louis fifth-grade teacher Jenny Kavanaugh teaches history, she uses her laptop to look at a map, or to give kids a virtual tour of the historical landmarks they're studying. “Students can interact with history in very cool ways online,” she said. But when it’s time for math, she puts the computer away. Even though Kavanaugh thinks technology is a great tool to enhance and deepen certain lessons, for drill and practice of key concepts in class, she finds one-on-one practice to be much more effective than its technological equivalent - digital practice games. While experts like Gary Stager, founder of the Constructing Modern Knowledge Summer Institute, recommend that computers be used to add “deep and meaningful experiences” to teachers’ lessons, much of what the 91percent of teachers with access to computers are doing may be just the opposite. According to a recent teacher survey conducted by PBS, 43 percent of classroom computing goes to playing educational digital games, while a Joan Ganz Cooney study showed that nearly 50 percent of teachers use digital games in class. But with nearly half of all classroom computer time dedicated to games -- many of which are played to reinforce basic skills like phonics, spelling or multiplication tables -- some teachers are wondering if games really are innovative techniques used to enhance student learning. Or are they just flashy, colorful ways of dishing out more of the same? While Kavanaugh encourages online games for students’ home practice, especially for math, in the classroom she thinks that old-fashioned interaction between humans makes for deeper understanding. She says, in her experience, kids are learning more math from hands-on activities than computers. “What they truly love is to get out of their desks and act things out,” she said. “I think many technological learning tools seem to bring out...how do I say this?...a backseat way of thinking from my students. Part of their brains seem to disconnect." But as a learning game, SimCityEDU wants to offer much more than drill -- student players will be assessing data, interpreting information, taking documentation, and like many complex games, will have the ability to level-up when certain skills are mastered. The game has the ability to make formative assessments along the way that are also aligned with Common Core State Standards; teachers can use an online tool to see whether children have mastered the necessary skills. It’s the ability to gather such specific data, says Nashville elementary educator and ed tech writer Dan Nemes, that makes online learning games so helpful, even the drill-and-practice kind. As far as being innovative on the learning front, Nemes questions whether a computer game can really replace a great teacher, but acknowledges that not all children have access to a great teacher. 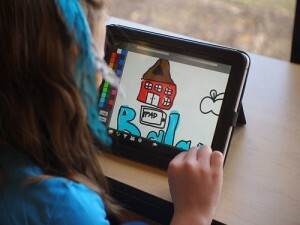 The most effective use of the iPad is not digital games, but more hands-on techniques, like using apps that build presentations or take video and slow it down to demonstrate a particular physics concept. As we are just entering the era of digital games and learning, research is still scant. 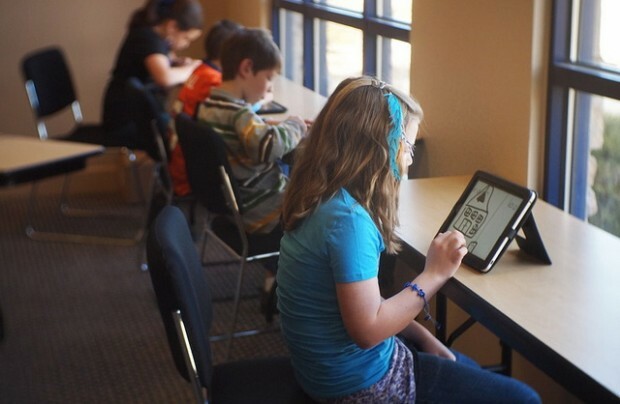 The Joan Ganz Cooney Center recently released an in-depth analysis of how schools are using games for learning, and other organizations are starting to tackle this broad, complicated subject. Williams College sophomore Mpaza Kapembwa is part of an education class that received a Verizon grant to write a fourth-grade science curriculum for low-income students using iPads, recording whether or not students are more engaged when using the iPad versus non-digital methods. The most effective use of the iPad so far, Mpaza said, is not digital games, but more hands-on techniques, like using apps that build presentations or take video and slow it down to demonstrate a particular physics concept.